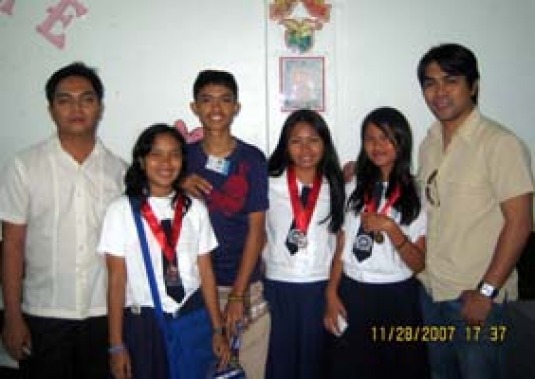 Congratulations to Consolacion NHS for being "Outstanding Implementor OF ICT Program" through the effective and efficient utilization of resources contributing significantly to the realization of the VISION & MISSION of DepEd-Cebu Province for School Year 2007 - 2008. 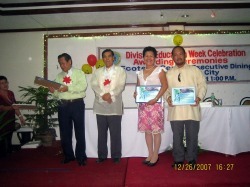 Certificate of Recognition is given @ Ecotech Center, Lahug, Cebu City, December 26, 2007. Thanks to the following teachers who (based on schedule) taught their lessons other than Computer Classes thru ICT : Mr. Lauron; Ms. Lopez; Ms. Atejera; Ms. Gallego; Eng'r. Gungob; Ms. Piape; Ms. Quiamco; Ms. Sordilla and to some other teachers who made their students visit the Computer Laboratories for some research work.